Story Contracting’s Plant Division have been supporting Balfour Beatty on the Nexus Infrastructure in Newcastle throughout a major re-railing blockade throughout August. 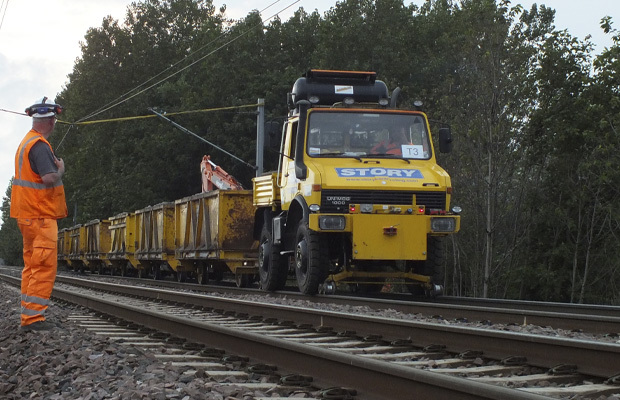 Story Contracting have two Unimog trains feeding ballast, rail and sleepers into the site and a further two Road Rail Vehicles (RRVs) installing the rail bed and tracks. The project has run extremely well considering the tight time-scales that Balfour Beatty were up against. Reliable plant and experienced, dedicated operators have ensured that their job has been delivered safely and on time.